You can see our two previous posts in which we count down TTAG’s most-read posts in 2017 here and here. Today’s group gets us most of the way home. It’s a good mix including a gun review, some ballistic talk, a couple of gear roundups and a sample of the usual uninformed stupidity blurted out by one of our “betters” who actually make the laws we have to live with. How scary is that? Welcome to the third installment of our 5.56 muzzle brake testing series. This time around we?ve put 42 new muzzle devices to the test, measuring the recoil reduction performance of each. The procedure for this test was the same as the previous brake tests. You can find the first one here, the second one there, and a .30 caliber version here. For the Operators out there, we got a sweet Lux meter and tested the muzzle signature reduction effectiveness of various flash hiders, brakes, and comps. Flash hiding test #1 is here, and #2 here. Josh Wayner?s taken it upon himself to challenge what everyone ?knows? as far as barrel length, velocity and accuracy are concerned. According to his results, the conventional wisdom ain?t all that wise when it comes to longer-barreled ballistics. The only question then is, if you buy in and go with a short barrel, can you stand the noise? Abstract: This is an independent scientific study that has been conducted in western Michigan. This study addresses the misunderstanding of the concepts related to barrel length, muzzle velocity, and accuracy in a rifle . . .
No. 13 – Senator Tim Kaine: ?Las Vegas Shooter Only Stopped Because He Didn?t Have A Silencer on His Weapon? In the video below, Senator Tim Kaine repeats his former running mate Hillary Clinton?s post-Mandaly Bay shooting anti-silencer rhetoric. According to the Virginia Democrat, silencer deregulation should be spiked because killer Stephen Paddock ?was only stopped because he didn?t have a silencer on his firearm, and the sound drew people to the place where he was ultimately stopped.? The Senator then asks . . .
?Can you imagine what would have happened if he?d had silencers on these weapons?? In fact, nytimes.com reports that it took police nearly two hours to locate Paddock?s 32nd floor room. They did so ? ultimately ? by hearing the sound of the smoke alarm in Paddock?s room. The market for guns is growing faster than the national debt. Paradoxically, the guns themselves are shrinking. Powerful handguns are getting smaller, easier to carry and less expensive. 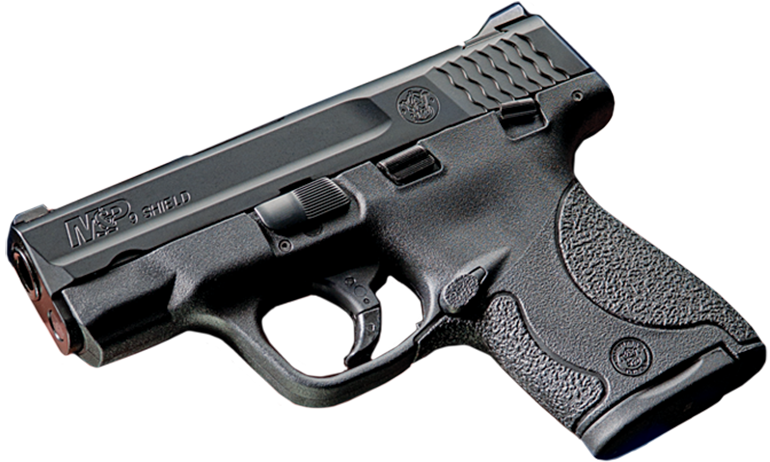 The Smith & Wesson M&P9 Shield continues this trend. It?s a pistol trimmed down to a size often reserved for weaker cartridges like the .380, but it maintains many of the ruffles and flourishes of its larger siblings in the M&P series. That?s all well and good, except that there are hidden costs that can outweigh the benefits of proliferating pistol shrinkage . . .
A smallish handgun can be difficult to shoot with accuracy due to its short sight radius. A small 9mm gun can twist around in the hand like a python with abdominal cramps. And reliability can suffer when power overwhelms small springs, feathery frames and partsmade by pixies. I tested the Shield because I wanted to know if the baby M&P is a worthy entry into the M&P family, or just some marketing maven?s idea of a profitable brand extension. King Armory contacted TTAG and asked if we?d like to review their KA-1222A muzzle brake/flash hider. As there are just way too many options from way too many manufacturers to review them individually, the project quickly escalated into doing a bit of a ?shootout? with muzzle devices from multiple companies. Hopefully we?ve achieved a decent mix of well-known units from well-known manufacturers as well as some from smaller shops that many folks may not be familiar with. Basically, the intention here is to highlight a variety of muzzle device options ? we gathered 35! ? state my blunt opinion on machining, fit/finish, and utility plus any items of note, along with relevant stats. Since many of these devices specifically claim to reduce recoil I created a test rig to measure just that, and a winner has been declared . . .
First, a quick note: not all of these muzzle devices are brakes/comps, or were otherwise designed to mitigate recoil. For some that is the primary goal. Some balance recoil management with flash hiding, and some have no recoil reduction consideration whatsoever (e.g. dedicated flash hiders or a linear compensators). For most brakes and comps, felt recoil reduction is only one goal anyway, with the other primary benefit being the reduction of muzzle movement in any other direction. The slow-mo footage for each device in the following video does show some noticeable differences in up/down muzzle movement as well as flash, but this test was specifically designed for measuring recoil ? rearward energy. Actually, it gets us 3/5 or 60% of the way through your list. Not 2/3. Well, math is mostly a matter of opinion, after all. You say tomato, etc. Nah, it’s “news” that’s mostly a matter of opinion now. The fact that this many people care about, much less use a muzzle brake on their AR15 makes me dissapointed in humanity. Yeah, muzzle brakes are to some gun owners what shoes are to some women (and even a few men). “The fact that this many people care about, much less use a muzzle brake on their AR15 makes me dissapointed in humanity. Oh, but it make muzzle-device manufacturers very, very happy. If it makes you feel better, I have no intention of ever changing out the bird cage on my AR-556. Any word if you get to test a CMMG Guard? While I obviously can’t complain about the recoil of an AR-15, when my competition rifle runs like a sewing machine and has zero muzzle rise, I’m a happy boy. That is to say, they have their time and place. Well a comp does work on an AK for muzzle climb, not so much on recoil.